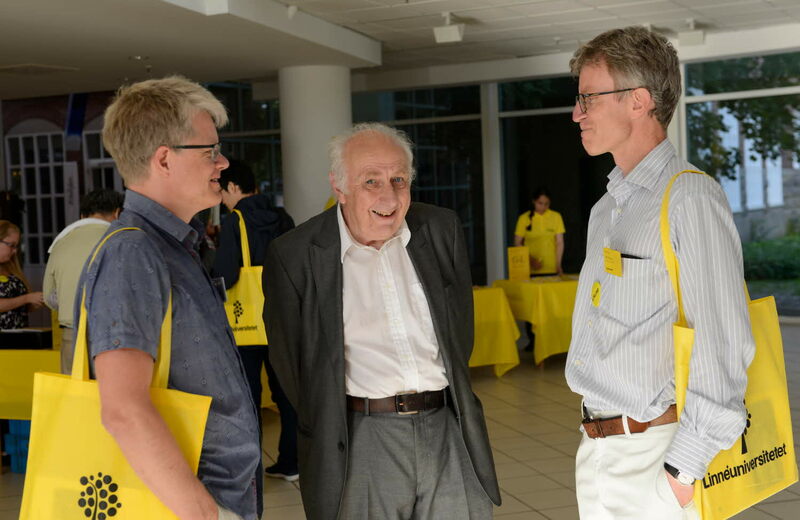 On Sunday, August 13, the mathematic congress ISAAC opened. This year, the congress with mathematics researchers from all over the world will be held in Växjö. Previous years, the congress has been held in, among other places, Berlin, Macao, London, Moscow, Ankara and Toronto. “It is a great honour for Växjö and Linnaeus University to host such an established and well-reputed congress”, says Joachim Toft, professor of mathematics at Linnaeus University. The close to 300 participants will first gather at Växjö Concert Hall on Sunday, August 13 at 6 pm for registration and mingle. The congress will then start on Monday, August 14 and go on until Friday, August 18. "Our society has become more and more complicated and we are dependent on more and more advanced technologies. We have built using knowledge in mechanics, electricity and magnetism, computer science and statistics almost everywhere; in the solidity of our walls and roofs, in the dynamics of our cars, in the light in our houses, in our TV sets, in our computers and in our assessment of risks. This knowledge is highly dependent on higher mathematics. As a matter of fact, mathematics is its language. If we go further and try to look into the future, new technologies can be based on quantum mechanics and this branch of physics is inextricably intertwined with mathematics". At the congress, awards will be handed out, among others an award to a young and prominent researcher. If you have any questions, please contact professor Joachim Toft on joachim.toft@lnu.se or +46470-70 84 65.